Personalise these items: Required Please choose an option No Yes with text Yes with Uploaded crest/ badge Yes with Uploaded Crest/Badge and Text I will forward my request by email. Golf Exclusive - Golf Shoe Bag. Personalise with a name / crest/ logo or message. Hold golf shoes up to men's size 12. Men's Black Golf Glove With White Detail. 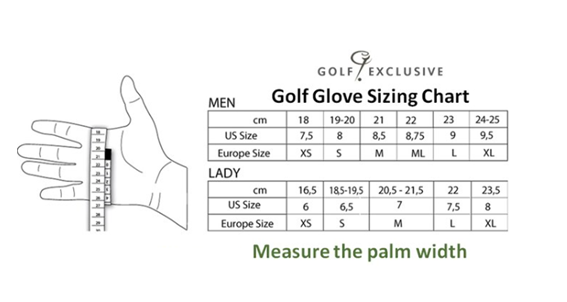 Men's professional golf glove with high quality soft feel Cabretta palm and blank Velcro fastener for personalisation. Have your initials, name, club crest or society logo embroidered in your choice of colour & font. Names - Restricted to 2 names, one per line.